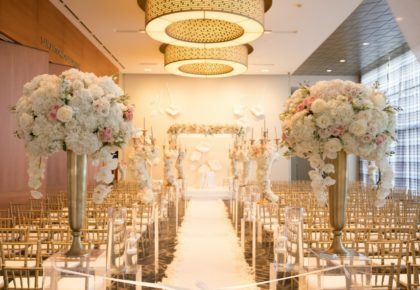 Call Stardust Celebrations at 972.781.1619 for your appointment with the ultra glamorous gowns from Simone Carvalli during their trunk show this weekend. 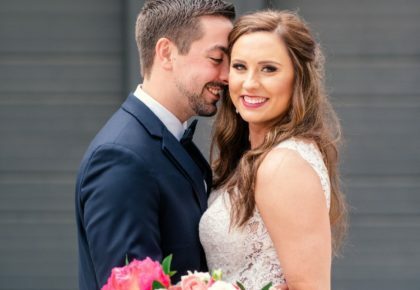 Very beautiful, romantic and highly customizable, these gowns are fabulous – this is a can’t miss trunk show! 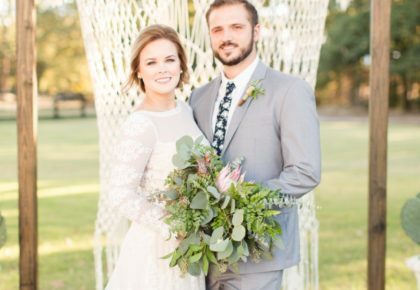 Sky Creek Ranch is hosting a Bridal and Catering Open House this Saturday, January 29. Stop by the clubhouse any time from 4-6pm to check out the incredible space and meet with incredible vendors from DFW. Hors d’oeuvres and wine will be served, RSVP’s are appreciated, but not required. The Bridal Salon at Stanley Korshak will be hosting a Rivini Trunk Show this weekend, January 28-29! Stop in to see the latest styles from the runway, and browse the collection of these amazing couture dresses! Call today for your appointment – 214-871-3611. 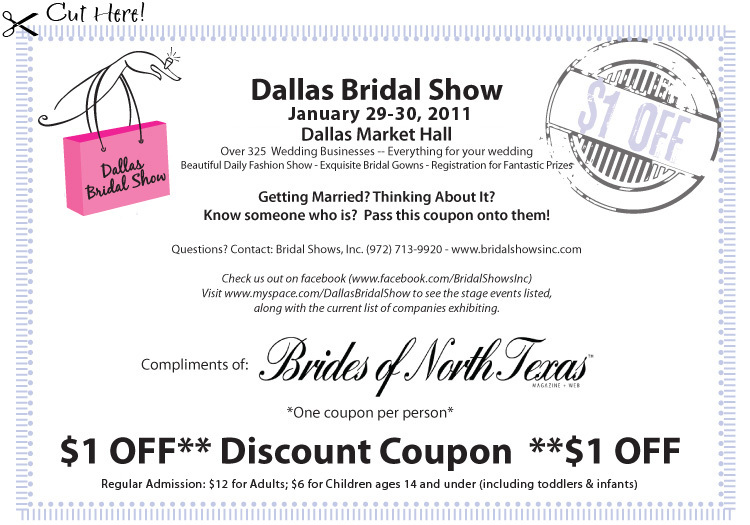 Join us at the Dallas Bridal Show this weekend, January 29-30, at the Dallas Market Hall! 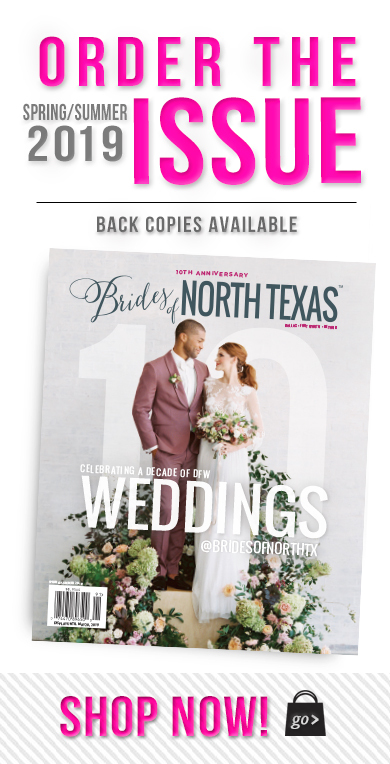 We’ll be handing out complimentary copies of Brides of North Texas! Print this posting, clip the coupon and present it at the door for $1 off your entry! Can’t wait to see you there!